Chill out to your favourite beats in style with these black Rise BT headphones from House of Marley. They’re lightweight and designed to stay comfy throughout their 12 hour battery life, with generous cushioning that houses a pair of 50mm dynamic drivers for awesome sound quality. With Bluetooth, you can wirelessly connect to your phone or any other compatible device – but if you need a wired connection, they come with a woven tangle-resistant 3.5mm cable. And with the built-in microphone and controls, you can take calls or adjust playback and volume on-the-go, without having to stop to check your mobile. House of Marley is built on the principle of sustainability and a commitment to global charitable causes. As a result, not only are their products made from socially responsible materials, but their packaging is 100% recyclable too. So you can buy safe in the knowledge that you’re not only getting a great product, but you’re also doing your bit for the planet. House of Marley show as much respect to your music as they do to the environment. Each product is custom-tuned to ensure you get a powerful audio experience full of punchy bass and crisp high notes. Whether you’re blasting out the floor-fillers or kicking back with a few of Bob’s own classics, you’re guaranteed excellent sound. 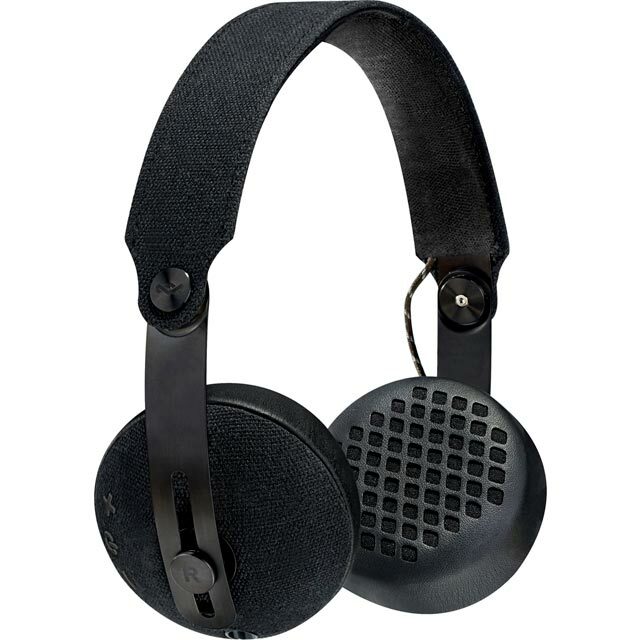 These on-ear headphones offer an immersive audio experience. They’re specifically designed to sit directly on your ears and, thanks to specially sculpted cushions, they’re super-comfortable so you can relax and enjoy your music for as long as you like. With Bluetooth connectivity, you can hook up to all your compatible devices without being held back by wires. Simply head to the Bluetooth menu on your smartphone or music player to get connected. Because it’s wireless, there’s a built-in battery which runs for 12 hours when fully charged. So you’ll enjoy constant entertainment throughout your commute and evening jogs all day before needing to recharge.